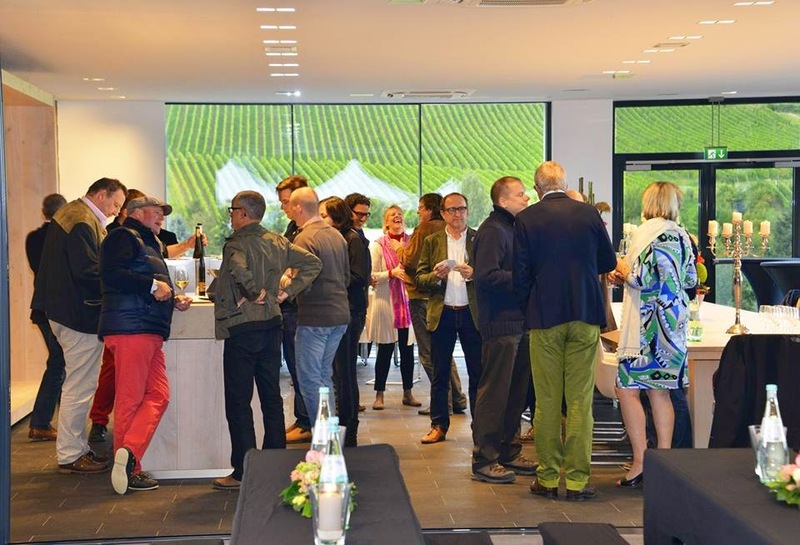 A group of VDP winemakers – the association of German elite winemakers – from the Rheingau invited me and Annette Schiller, ombiasy PR and WineTours, to an extraordinary afternoon and evening event at Weingut Robert Weil in Kiedrich. 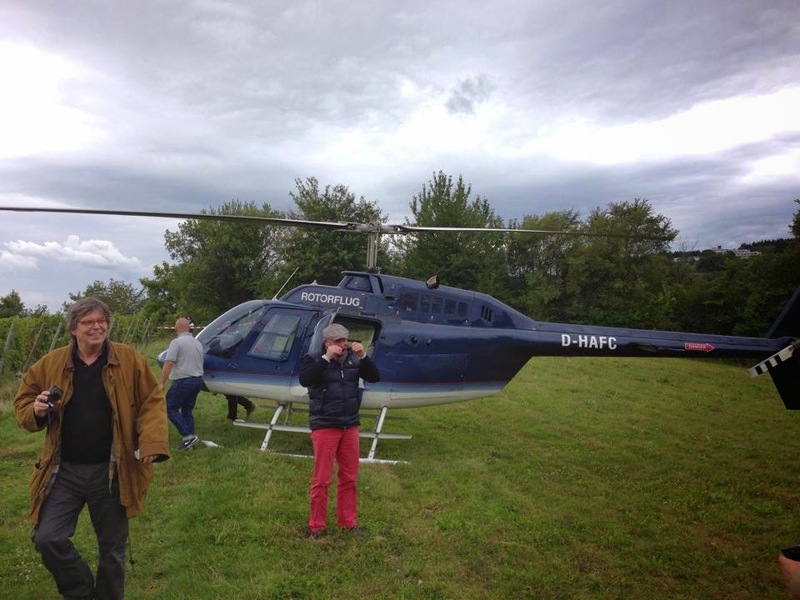 At the center was a 20 minutes helicopter flight over the vineyards of the Rheingau, from and to the Turmberg vineyard, during the afternoon. 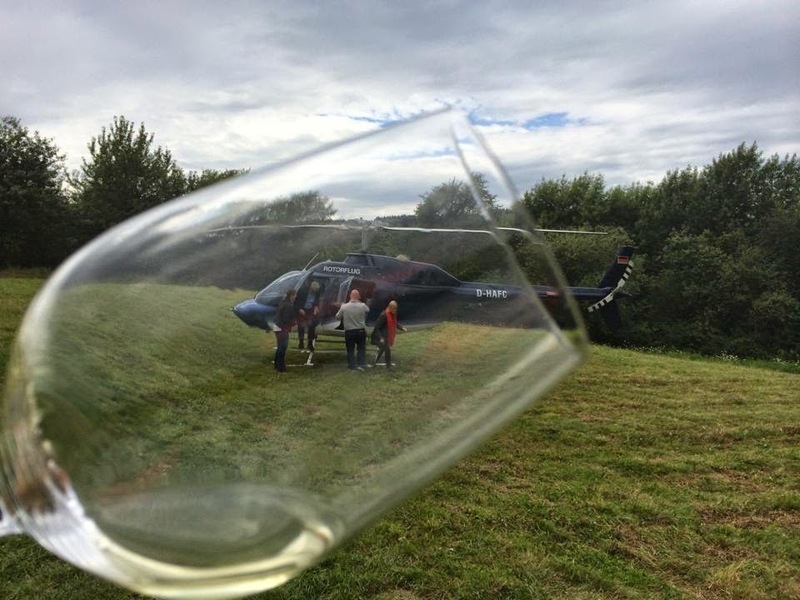 While 4 of us were in the helicopter, the others were tasting the GG’s (Grosses Gewachs) - the ultra-premium dry wines - of the new 2013 vintage of the Rheingau VDP winemakers. 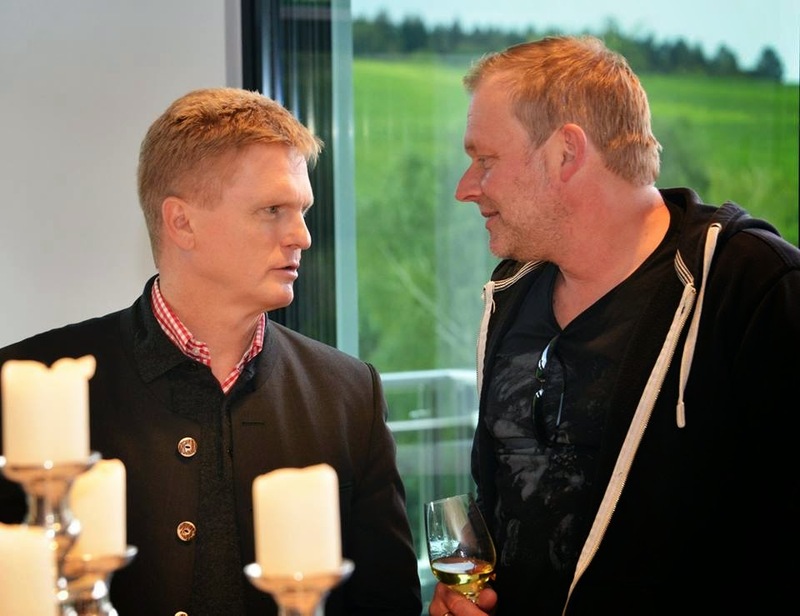 In the evening, we gathered at Weingut Robert Weil for dinner and an informal tasting of older GG’s. 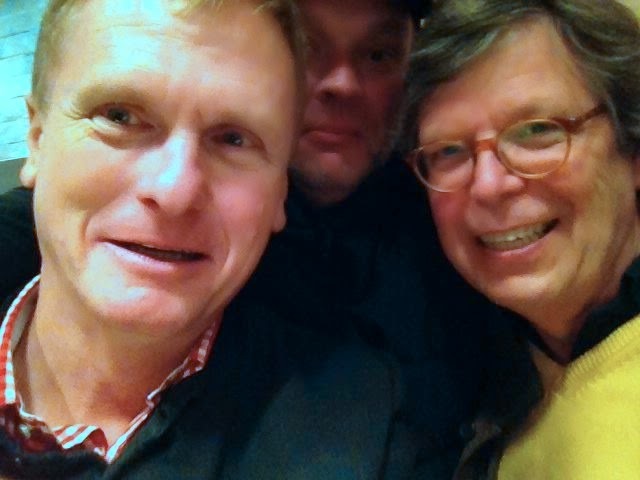 As usual, when Wilhelm Weil is hosting, the party went on until the morning hours; we talked, tasted other wines that Wilhelm Weil brought from his cellar, and some of us even played cards for an hour or so (some of us: Mark "Sam" Hofschuster, Dirk Würtz, Andy Spreitzer and Christian Schiller). 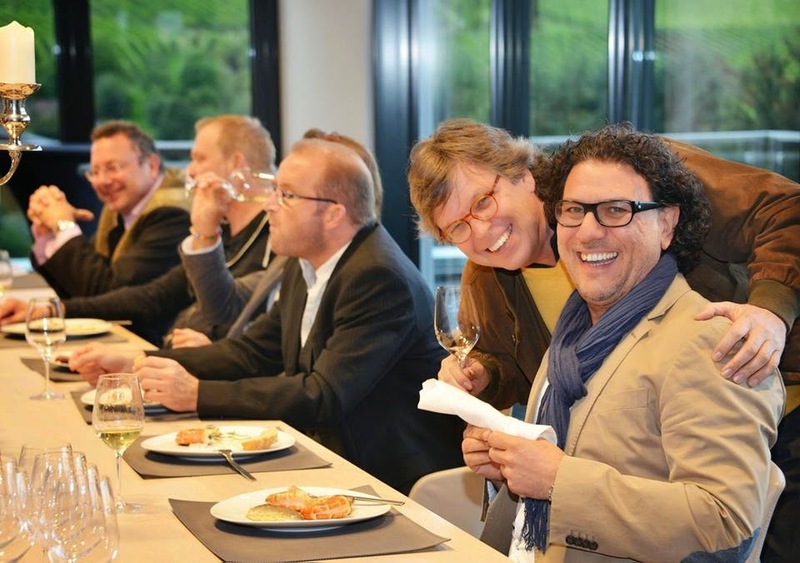 All photos are from Christian G.E.Schiller or Weingut Robert Weil. 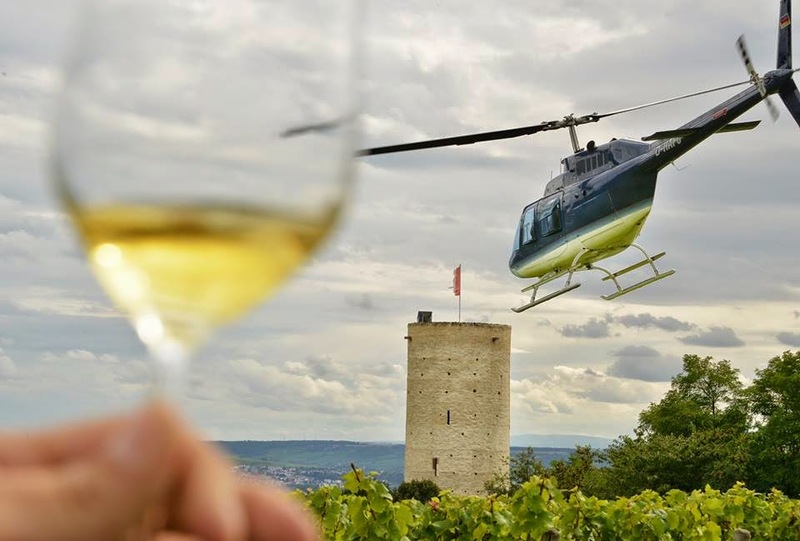 Pictures: Extraordinary Views of the Rheingau Vineyards - A Helicopter Flight over the Rheingau, Germany. 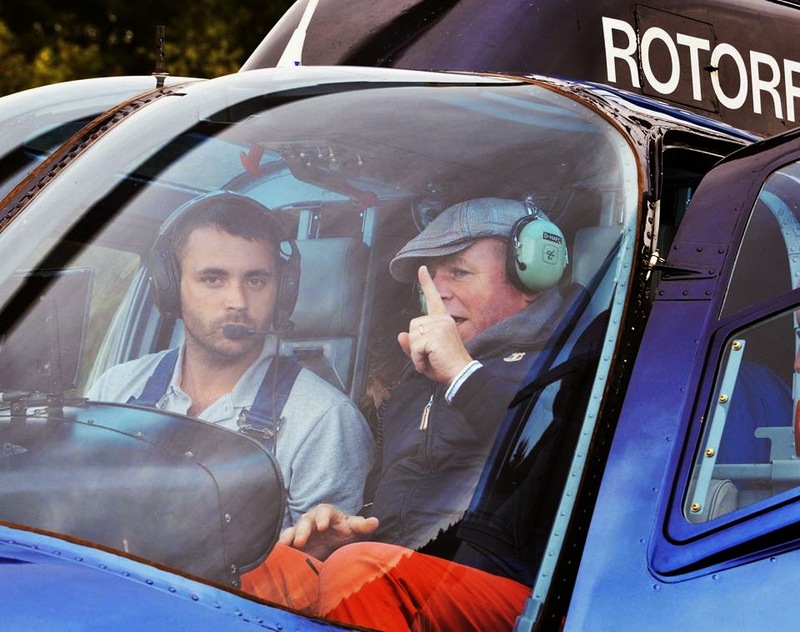 I flew with August Kesseler, Weingut August Kesseler, Mark Barth, Weingut Barth, and Guiseppe Lauria, Gault and Millau. 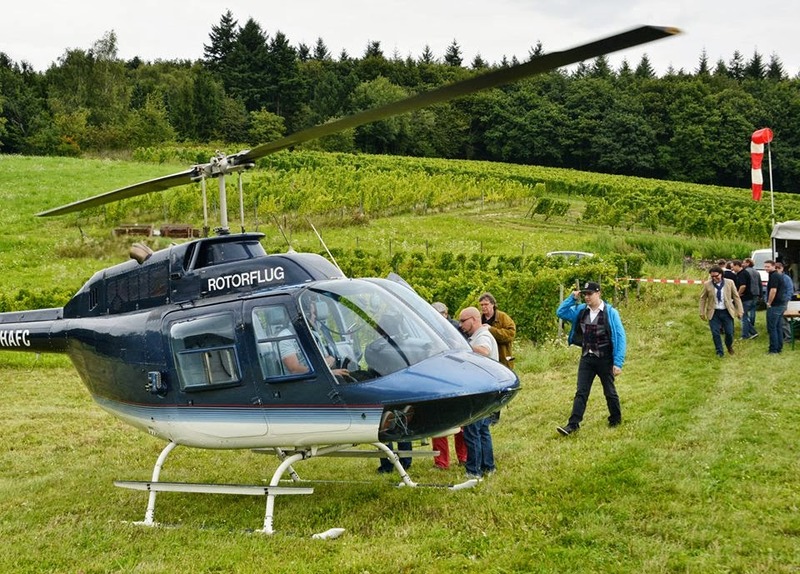 Pictures: Annette Schiller, ombiasy PR and Wine Tours, flew with Ursula Haslauer, Falstaff Deutschland, and her husband, and Wolfgang E. Frank, Weingut Baron Knyphausen and Grape Vault Investment. 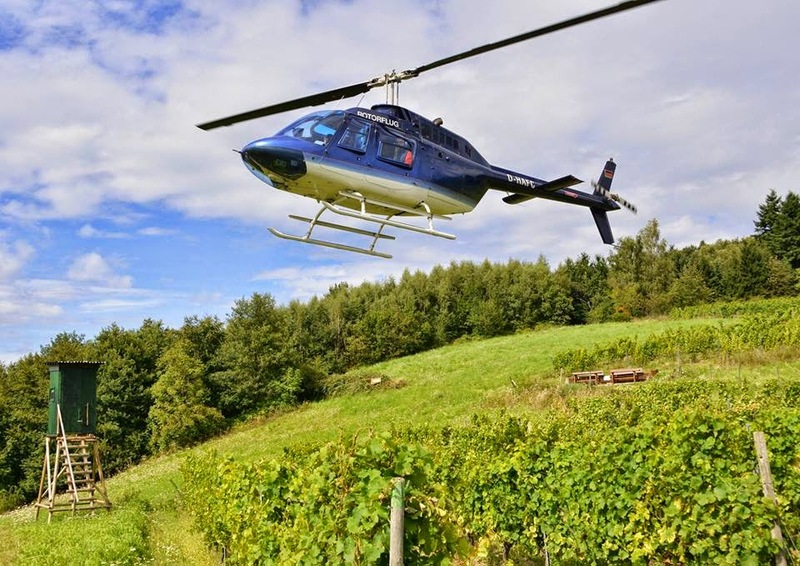 The vineyards are planted 100% with Riesling. 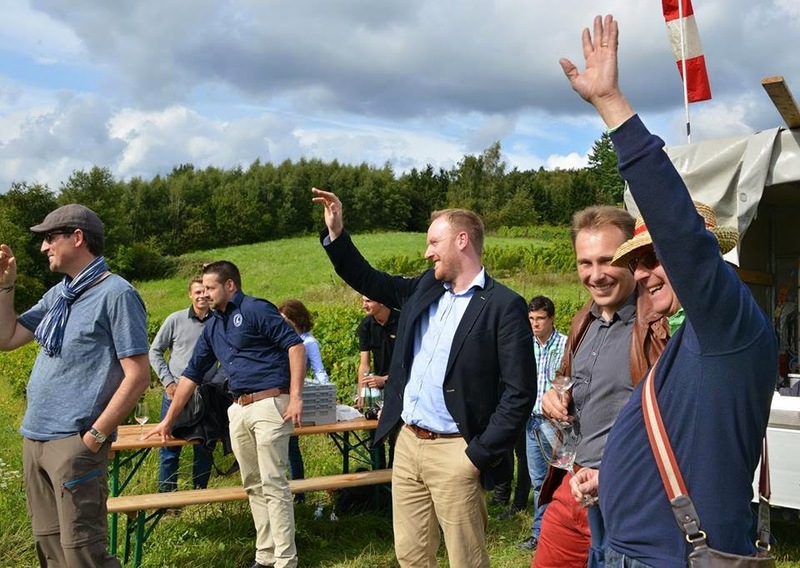 The estate’s dedication to Riesling since 1875 has led numerous observers of the international wine world to regard Weingut Robert Weil as a worldwide symbol of German Riesling culture. 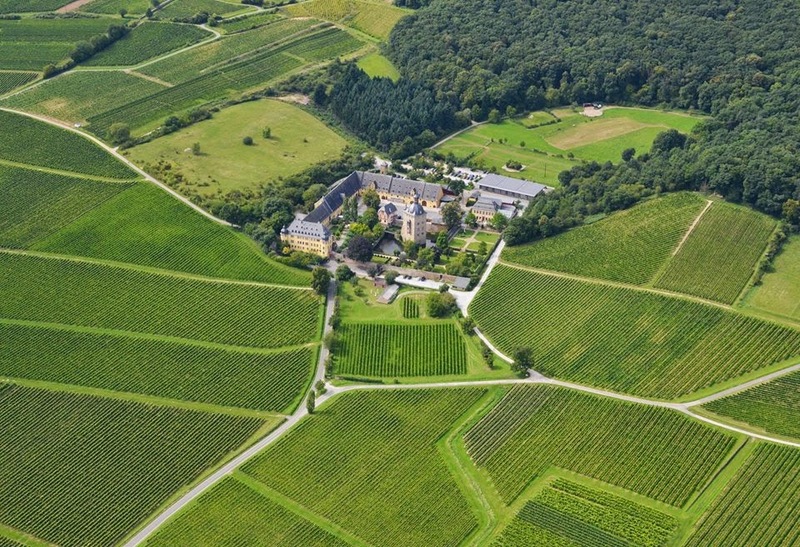 A Riesling wine of the 1893 vintage, grown on the Gräfenberg site, made the estate famous. 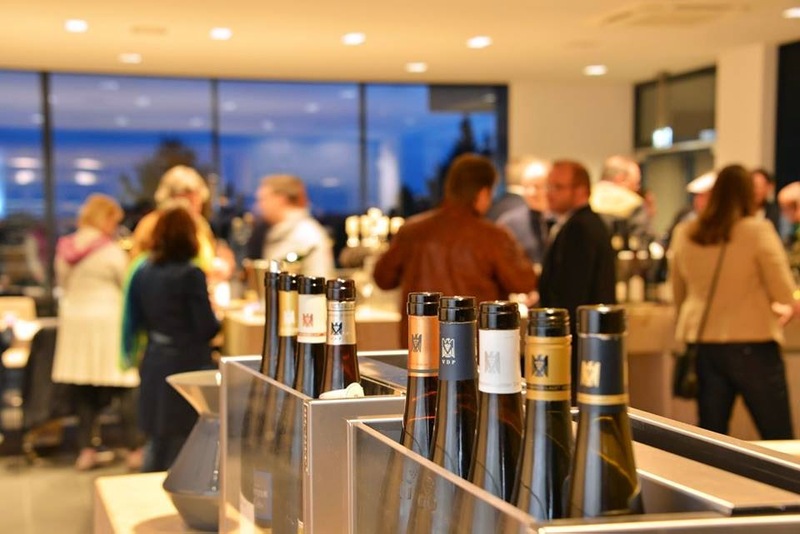 The imperial Habsburg court in Vienna purchased 800 bottles of this wine at a price of 16 gold Marks per bottle in 1900. 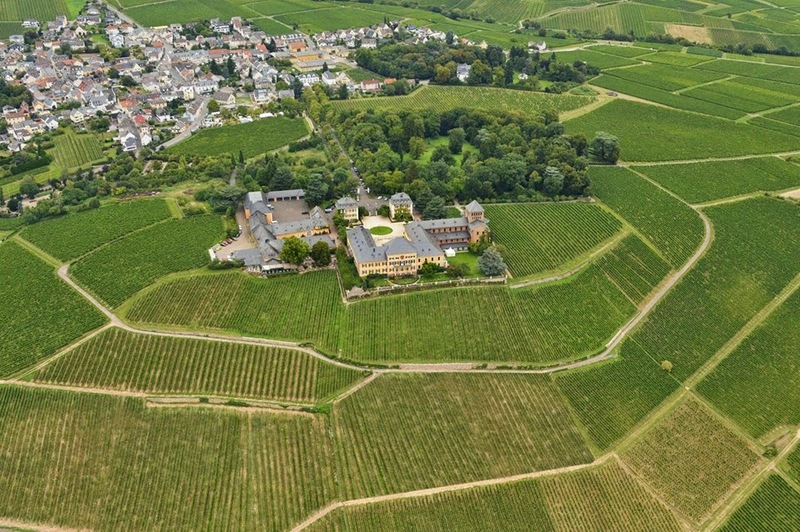 The 1920 vintage of the Kiedricher Gräfenberg Trockenbeerenauslese is described as a Zeppelin wine, as it was served on board the LZ 127 „Graf Zeppelin” dirigible on its circumnavigation of the world in 1929. 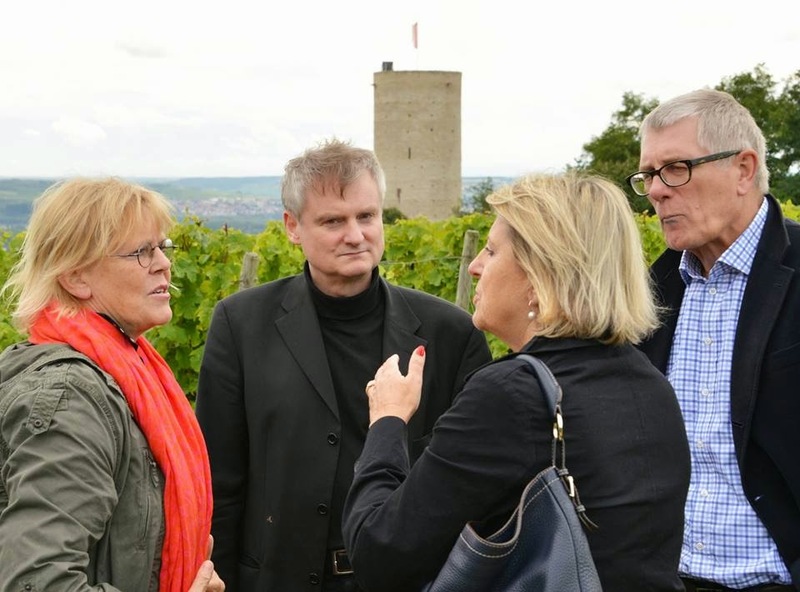 Robert Weil’s top botrytis wines are sold today at extremely high prices - they are among the most expensive in the world. 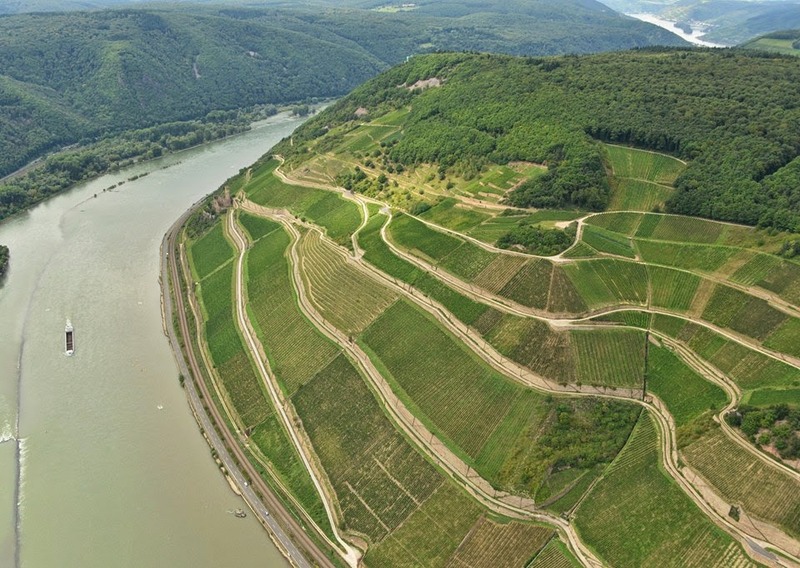 The current world record (in 2006) is held by a 1999 Weil Trockenbeerenauslese, at DM 5.000 (EUR 2500). 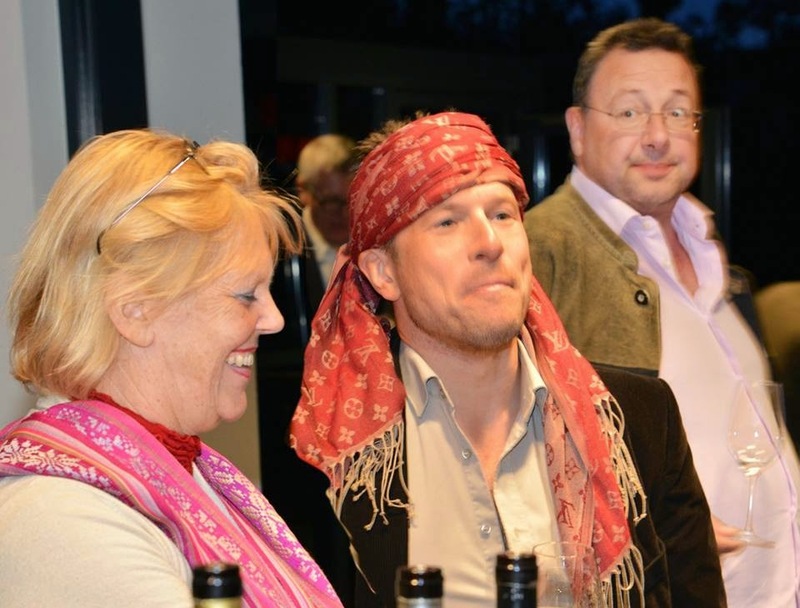 Thank you very much Wilhelm Weil and all the other winemakers from the Rheingau for an amazing afternoon and evening. 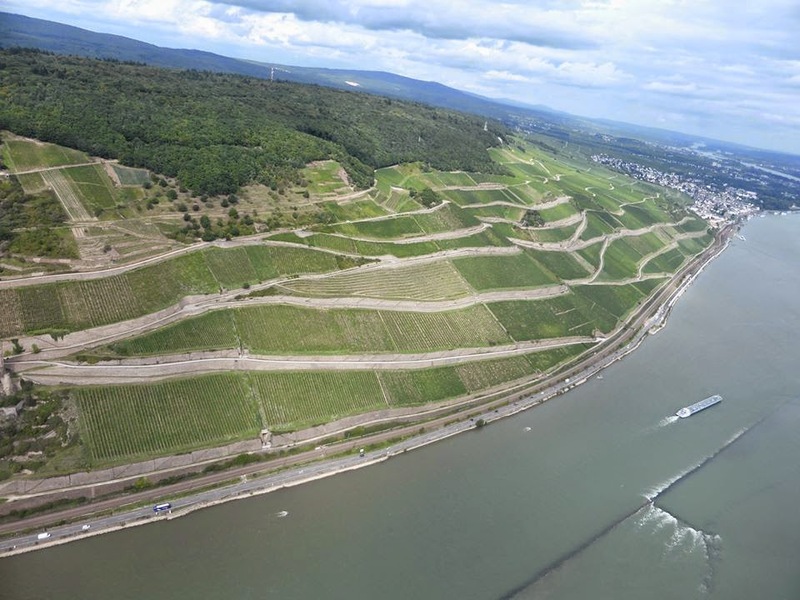 According to the Loosen webpage the 1999 Weil TBA was surpassed in price by the 2003. The 2003 Kiedrich Gräfenberg TBA Goldkapsel is the latest example. It had a must weight of 316° Oechsle (64 Brix!) 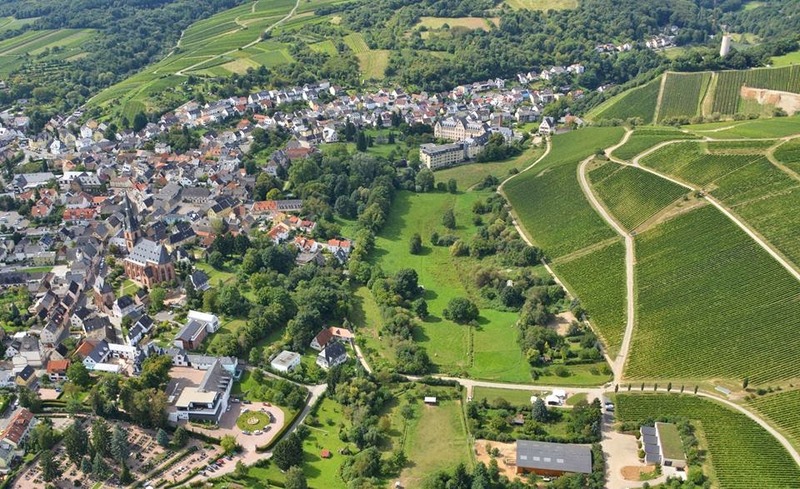 and sold for €5,117 per bottle (about $7,000 at the time) at the 2010 VDP-Rheingau auction in Kloster Eberbach.